Creating romantic fiction has been a passion of mine, ever since I was old enough to understand the connection between the sexes. I think I was twelve when I wrote my first love story and like most young minds, I truly thought it was a masterpiece. 'If I Die Young' by The Band Perry was based on a poem, Lady of Shallot. 'Love Story' by Taylor Swift is loosely based on Romeo and Juliet. Sting’s 'Moon Over Bourbon Street' was based on an Anne Rice novel, Interview With A Vampire. More interestingly, though, the anatomy of a song also has, within its lyrics, a pretty fascinating backstory as well. For more than five decades, authors have been creating fictional pieces and bringing readers deep inside the lyrics. I grew up listening to my mom’s collection of romantic ballads from the 40s, 50s and 60s. Those lyrics have forever been embossed into my brain; I still sing along whenever I hear them. Lyrics like those back then told a story. They were so strong and emotional - their effects were everlasting. I have a library of love songs on iTunes I listen to religiously while I write, as a source of inspiration and a tool that gets me in the mood and mindset I need to be in. From this list, I began to formulate a series of ideas, followed by cryptic notes on paper, and finally the creation of my Love Song Standards series. I made a list of the songs I connected with personally, whittling it down to thirty-five. That number was quite overwhelming and I thought virtually impossible to create that many scenarios. So, I chipped away at the songs and their lyrics, until I decided on a top ten. I made a commitment to myself to finish one book a month throughout 2016, writing a chapter every day, leaving me ample time to polish and edit each one. I knew from the start what I wanted my covers to look like. They had to resemble each other in a way that would tie them together, but strong enough for them to stand on their own. My designer Covers by Ramona did an exceptional job tying all my ideas together. After Book 6, Chances Are, was completed, my brain was fried. I took a short reprieve and switched it up a bit with a romantic suspense, A Pawn for Malice. Happily, the first two books of my series received a 5-Star Readers Favourite Award, which ended my promotional efforts. I was forced to take an extended break due to personal issues that had set me back both physically and emotionally. My focus now is to both promote my series' and finish the final four titles - All The Way, It’s Impossible, Sincerely, and Unforgettable. The Love Song Standards series is available to buy now. My love of reading romance fiction goes back to those early years when I was raising a young family. It wasn't until much later in life that I actually took up the pen to write my first historical romance, Wind Warrior. I really don't fit into one specific niche. Once a story starts to flow, it's only then I know what genre or sub-genre it will fit under. I have only one regret, and that is not getting to this point in my career much sooner rather than later. Life has a way of setting up road blocks, which for me, was supposed to work out that way. Because of those detours, I have become a more passionate and expressive writer, allowing me to create the kind of raw human emotion I want my readership to feel. It is my hope you walk away with not just an entertaining read, but the importance of knowing, "Without imagination & dreams, we lose the excitement of wonderful possibilities." 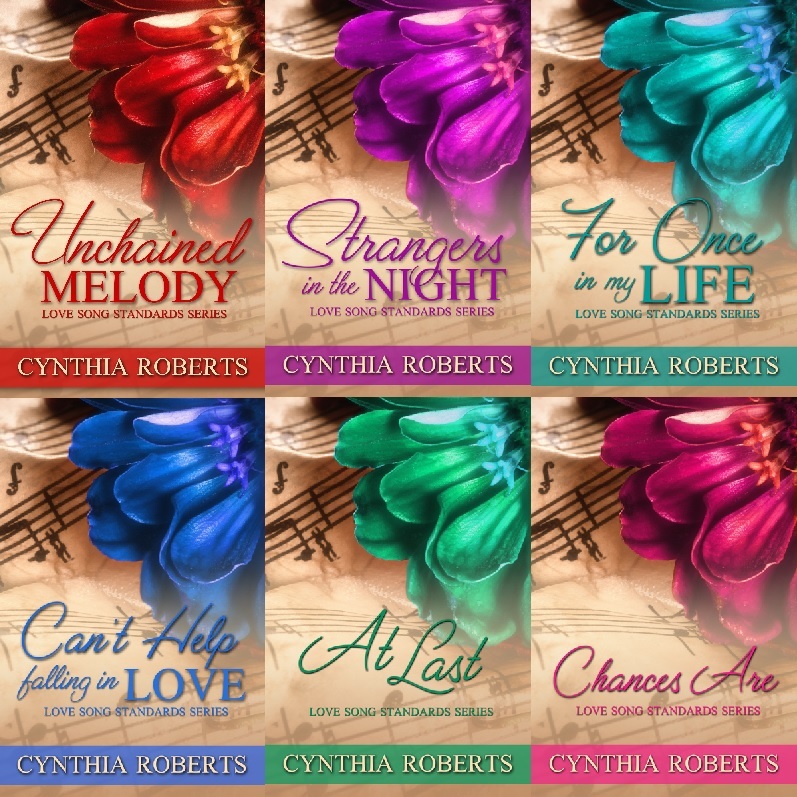 To find out more about Cynthia and her novels, please visit her website. What's your favourite love song? Let me know in the comments below!